Do you or someone you know have a disability? 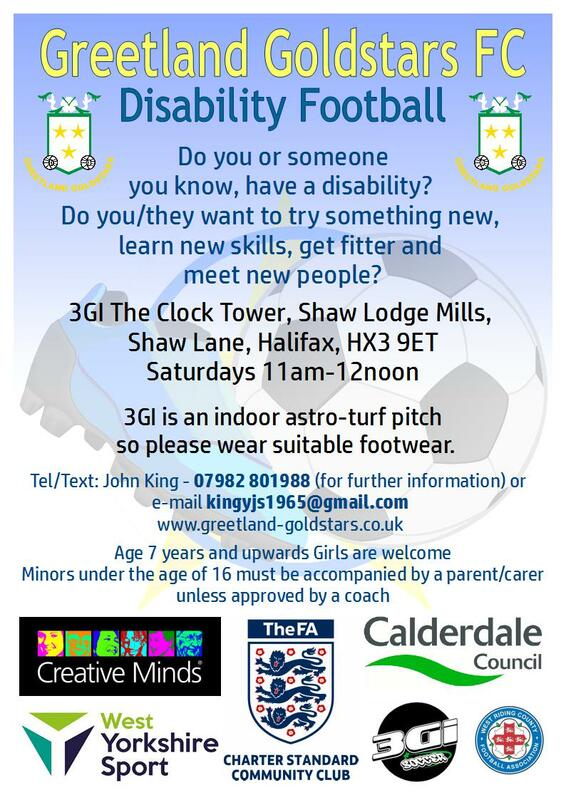 If you want to try something new and get fitter, try disability football on Saturdays 11:00 – 12:00 at Shaw Lodge Mills, Halifax. Ages 7 and over and girls are welcome. For further information email kingyjs1965@gmail.com or call John on 07982 801988.